Receiving an inheritance is often both a blessing and a challenge. It usually comes at a difficult time emotionally–following the death of a loved one. But when the gift is an inherited 401k, you are faced with an additional challenge. How do you avoid losing a big piece of the gift to taxes? The 401k beneficiary rules are dizzyingly complex. Understanding your options for how to treat a 401k after death is critical for getting the most benefit from your inheritance. 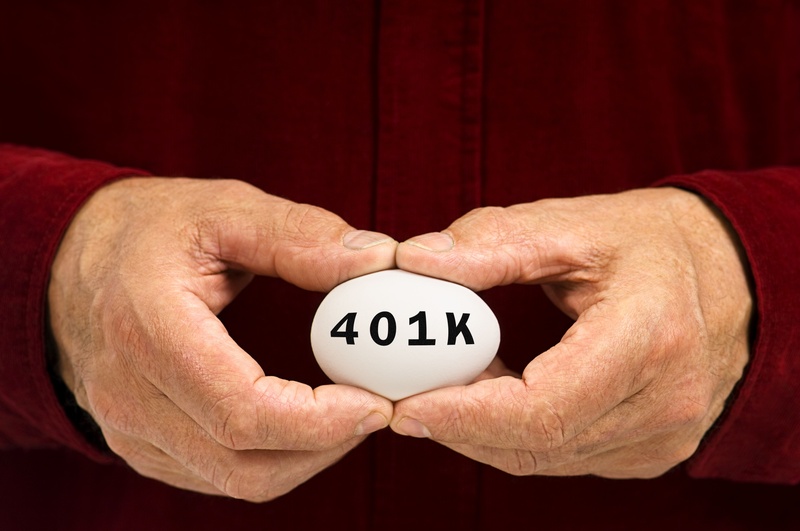 You may be aware of the rules concerning a 401k if you leave your job. In most cases, you will probably roll over the account to an IRA (Individual Retirement Account). While there are some similarities between rolling over a 401k from a former employer and an inherited 401k, it’s important to understand the unique requirements for each. When you receive money out of an account (called a distribution), you must pay income tax on it. The exception is a Roth 401k because the taxes were paid upfront. You may also be on the hook for estate or inheritance taxes. How much you pay will depend on how you take the distribution. You may be able to spread out the withdrawals over a number of years, which will also spread out your tax payments. Basically, any distributions you take from the inherited 401k will be added to your taxable income. This can result in a pretty hefty tax hike. This is why spreading the payment out over time can be advantageous. Also, as long as the funds remain in the account, they can continue to grow tax-free. There are different requirements for how you can handle the distributions. It depends on the type of beneficiary you are, and any requirements placed on the account by the employer of the 401k plan holder. First, What Kind of Beneficiary Are You? 401k beneficiary rules differ depending on whether you are inheriting the 401k from your spouse, or you are non-spouse (such as a child or other relative). The law requires that a spouse be the beneficiary of a 401k unless they sign a waiver. If they sign, you can designate anyone you want to receive the money, such as children, friends, a trust or a charity. One common point of confusion surrounding beneficiaries of a 401k is that such designations are not made by the plan holder’s will. Beneficiaries must be named by the 401k plan. If no one is designated, it will automatically go to the surviving spouse of the plan holder. It’s also helpful to understand the importance of certain retirement ages. The age of the person holding the original 401k, and the age of those receiving it as an inheritance is significant. When someone reaches the age of 70 1/2, they have reached the age when they must start taking required minimum distributions (RMDs). Also, anyone taking retirement distributions before the age of 59 1/2 will generally be subject to penalties. This option can be attractive for its simplicity if the account owner died before reaching the age of 70 1/2. The money can continue to sit in the account and grow tax-free. Also, if you are under the age of 59 1/2 and take any distributions, you can do so without incurring any penalties. This can be one of the main advantages of leaving the money in the original account. If your spouse died over the age of 70 1/2, then they will already have begun taking the RMD. You will be required to continue taking out this amount. You can take out more if you wish, but not less. Keep in mind, however, that some workplace plans put more restrictions on how the money is handled. Some require the heirs to take the money out all at once or take it out within five years. Beneficiaries may either spread the withdrawals over the five year period or take it out all at once at the end. Only surviving spouses have the option of rolling an inheritance 401k into their own traditional IRA. It can either be an existing IRA or a new one can be created in their own name. With this option, you are free to make your own investment decisions on how to manage the money. Many workplace plans only provide limited options for how the money can be invested. With a traditional IRA, you are able to seek investment advice and make your own decisions about the funds. If you are under age 70 1/2, you aren’t required to take any distributions. The money can continue to grow tax-free, and by not taking distributions, you won’t be hit with additional taxes. Keep in mind that if you do want to withdraw money after the rollover, you will pay a 10 percent early withdrawal penalty on it if you are under age 59 1/2. In most cases, a 401k inheritance not designated for a surviving spouse is given to the children or other relatives of the original account. The options described below are available to both spousal and non-spousal beneficiaries. Also known as “stretch IRAs,” this is an IRA set up separately from any other IRAs you may already have in place. It is important to make sure the plan trustee transfers the money directly into the inherited IRA. If you withdraw the money first and then place it into the IRA, you will be required to pay taxes on the entire sum. With an inherited IRA, if the original account holder was under 70 1/2, you must begin taking the RMD by December 31 following the year of the original account holder’s death. The RMD may be calculated based on your life expectancy. Your age in the year following the death will be used. You also have the option of waiting to take distributions. You can hold off until December 31 five years after the date of death. By the end of the fifth year, all assets must be completely distributed. In these cases, your only option is to take the RMD beginning no later than December 31 following the year of death. You may calculate the RMDs using your own age, or using the original account holder’s age at their time of death. The best choice is to use whatever age is younger. If you are not yet 59 1/2, you will not need to pay any penalties for taking early withdrawals. This is an important point because if you are a spousal beneficiary and want to take distributions before age 59 1/2, the inherited IRA is a better option than a traditional one because you won’t be hit with the 10 percent penalty. If there are multiple beneficiaries, separate accounts for each person must be set up. You have until December 31 following the year of death to do so. Each beneficiary should use their life expectancy to calculate the RMD; otherwise, the life expectancy of the oldest person will be used. Spouses have the option of rolling over an account to either a traditional or inherited IRA. Often, it makes the most sense to choose to put the assets into an IRA in their own name. But this is not always the case, which is why it is important to consider all of your options. When Should a Spouse Use an Inherited IRA? Take, for example, the case of Margaret, who is only 45 years old when her husband Bill dies suddenly. She has a mortgage to pay and two children to raise. She is not sure if she has enough income on her own to manage her expenses. If she were to roll the money over into her traditional IRA, she will be faced with a 10 percent early-withdrawal penalty if she takes any distributions before she reaches 59 1/2. Instead, by rolling the money into an inheritance IRA, Margaret can make withdrawals anytime without incurring the penalty. The money left in the IRA will continue to grow tax-deferred, so she will still benefit from placing the money into a retirement account. Choosing to take the entire distribution and placing it into a non-retirement account will give you full access to the inheritance all at once. This sounds pretty attractive – so why doesn’t everyone just take a lump-sum distribution? The answer, of course, is that it will cost you. First of all, you will need to pay taxes on the entire amount all at once. By taking the money in a large chunk, it could also push you into a higher tax bracket, raising your tax bill even further. You will also need to pay a mandatory 20 percent withholding on the distribution. The advantages of taking a lump-sum distribution are that even if you are under the age of 59 1/2, you will not be hit with the 10 percent early withdrawal penalty. You will also take complete ownership of the money, and you can use it however you please. Most people decide not to take a lump-sum distribution if they can help it. It really can be the option that ends up costing the most in terms of taxes. For example, Robert leaves his 401k of $100,000 to his 45-year-old daughter, Ingrid. She and her husband have an income of $74,000 a year, and file their taxes as married filing jointly, putting them in the 15 percent tax bracket. Taking the entire $100,000 inheritance would put them into the 28 percent bracket. If Ingrid rolled the 401k into an inherited IRA, she would be able to stretch out the RMD. Based on the IRS’s single life expectancy table, if Ingrid took the minimum withdrawal, she could stretch her distributions over 38 years. In this way, she could maximize the years the money grows tax-deferred while minimizing her tax liability. Another option available to anyone receiving a 401k after death is to choose not to receive it. Sound crazy? It actually can be a good option in certain scenarios. The reasons could simply be that you don’t want to have the tax liabilities that come with the gift. Or you may have an important reason for wanting the money to go to a successor beneficiary. The refusal by the beneficiary must be an irrevocable and unqualified refusal. In other words, you can’t change your mind or place any requirements on the refusal. You must make the disclaimer in writing. Nine months after the beneficiary reaches age 21 if they are 21 when the retirement account holder dies. The money must go to the successor beneficiary without any direction on your part. Mary designates her son, Michael, as the beneficiary to her 401k. After her death, Michael realizes that if he accepts the money, he will lose his student aid for college. So he opts to decline the gift. Thomas has designated his wife Susan as his beneficiary for his 401k. Upon his death at age 75, he has accrued $600,000 in his account. This money will go to Susan, who is age 74. In this case, because Susan is older than 70 1/2, she needs to take an RMD, which will create more taxable income for her. She does not need the funds and prefers to have the money go to their children. Because of their age, the children will have a much lower RMD, reducing their tax liabilities. Figuring out the best strategy for protecting an inherited 401k can be complicated and confusing. If you are young, you may think it’s too early to be putting the money toward retirement. But if you make the wrong decision, the cost to you can be significant. Luckily, you do not have to tackle these questions on your own. FamilyVest offers no-obligation consultations; to get help with a 401k inheritance or any other financial issues, contact FamilyVest today.